Another great value monitor, this time from Dell. Last week, one of LG's 1080p monitors was just $100 at Newegg. If you missed out on that deal, but you're still looking for a cheap (but good) display, here's another opportunity. Dell's 24-inch 'SE2417HG' monitor is just $109.99 while supplies last. As for tech specifications, the SE2417HG is a TN anti-glare monitor running at 60Hz, with a 2ms response time. You get two HDMI connectors and one VGA port for input. It doesn't appear to support standard VESA mounts, but the included stand can tilt. 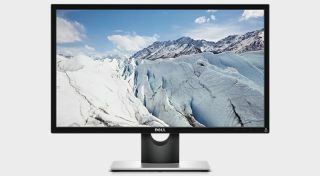 You can buy the monitor from Dell's website. At the time of writing, 43% of the units have already been sold.